What is the YouTube Partner Programme? The YouTube Partner Programme allows you to make money off your videos hosted on YouTube through revenue sharing, by allowing advertisements to be displayed on your videos. If you choose to have ad-supported videos, then ads are chosen automatically by YouTube’s system based on a number of factors (such as video category, etc). Being a YouTube Partner also allows the user to stream videos in the highest possible quality; up to 1,080p HD. Partners can also upload long-form content with no size or file limit, inside a fully branded channel with additional design and interactivity options. YouTube Partners are also given access to YouTube’s Content ID system (which can also be signed up for separately) which is aimed at users who hold exclusive right to the content they upload. It allows users to identify videos uploaded by others that are comprised entirely, or partially of their content and choose in advance what action they want to have happen, when such videos are found. 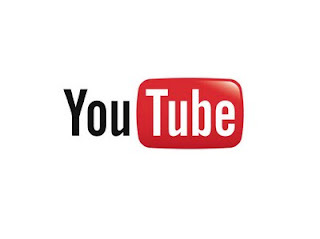 In order to join YouTube’s Partner scheme you need to apply through their site here. Your channel will be reviewed internally by YouTube to decide whether you fulfil the below criteria. You must own or have express permission to use all of the audio and video content that you upload. NO EXCEPTIONS. Cover songs are not allowed unless the artist has obtained full synchronisation and performance rights. To not have any black marks against your account, you must not have violated YouTube’s Terms of Service. To have an approved AdSense account. Should you have a YouTube account and you would like to talk to the Flashlight Team on your future strategy plans, please get in touch with Rocktime Sales to arrange a meeting.